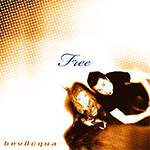 In April of 2003, Joe and Daphne resumed recording with engineer/producer, Andrew Horrocks (formerly of the band “100 Days”) and now have a new CD entitled “Free”. “We are so excited about this record because there are heart issues, worship, outreach and praise songs that are a result of life lessons learned. We want people to know and understand that just because you are a Christian, your life will not automatically be perfect - that there are many highs, lows, blessings, and disappointments to deal with. That’s why we need God’s love, grace, and mercy to help us through these times”.